How do seaplanes do run-up checks without brakes? Usually on run-up you want to check the response of the motor when changing for example the carb-heat (if existent). At least we did so on my intro flight (yey!). To prevent us from rolling onto the active runway we (obviously) held the brakes. Now I wondered how pilots of floating planes and flying boats prevent movement on pre-takeoff checks. Additionally most images I found from flying boats they usually have more than one engine. Similar question here: How do pilots prevent swimming circles as one engine is started and the other(s) is/are not? I scanned this FAA document from this related question but that is mostly is about landing (which is interesting as well but I assume that as in the linked question the airframe and especially the water resistance take care of that). I'll limit my answer to single-engine seaplanes as I've never flown a multi-engine seaplane. Typically there is no need to stay stationary in the water when doing a run-up. Just do it while taxiing to your takeoff path, or you can do it on your takeoff path. If the takeoff path isn't long enough to do the run-up and then continue along the path for the takeoff, you can turn around, taxi back along the takeoff path, and then takeoff. At typical run-up power settings, if you hold full up elevator, the airplane will simply mush along on the water since you won't have anywhere near enough power to get it up on the step. In other words, you won't be going very fast. When giving floatplane instruction, one of the first things I tried to impress on students was to not think in terms of the constraints of straight, hard-surface, defined runways, taxiways and the like. There's no need, typically, to taxi in a straight line, make well-defined taxiing turns, and no need to takeoff in a straight line. Once away from the dock or beach, the airplane is going to weather vane unless you actively oppose that, and that weathervaning is going to have a component caused by the current, if any, of the water you're on. In my experience, most of the time the takeoff path was either dictated directionally (a river) or pretty much wide open (lake or reservoir). For new students in my area, reservoirs were preferred. More often than not, it was a matter of getting a short ways off the dock, do the checks other than the run-up while moving away from the shore at a 90 degree angle more or less, lift the water rudder, bring the stick all the way back, and do the run-up, all the while letting the aircraft weathervane into the wind. Then just takeoff. I never flew a twin-engined seaplane, but I see no reason why you couldn't bring both engines up to the run-up rpm, do the checks on one and then the other. While checking the mags, carb heat, and props, there would be a little asymmetrical thrust, but not enough that the rudder couldn't handle that. Aircraft on ski's have the same problem, and the answer is relatively simple... They do an abbreviated run-up on the go. Even if the aircraft has a constant speed propeller, many can't feather the propeller enough to completely prevent motion. There are a few piston light aircraft that have a feathering prop, and one that I know of that can actually reverse. This takes some practice, to be able to throttle up to your run-up RPM, do a mag-check, carb heat check, and prop check (for constant speed), but can usually be done in less than 30 seconds, or as little as 10-15 seconds for an experienced pilot. The hard part is dividing your attention between not running into anything and completing your checklist. Remember, it actually takes quite a bit more power to get an airplane moving through the water than it does to move it on land. Some float equipped airplanes have problems taking off from glassy water because they don't have enough power to get up "on the step", or planing the floats (so they have to run back-and forth over their wake to get up). So while 1700 RPM on land basically means you'd be taxiing at 40 knots, on the water it is much slower, and doesn't accelerate as fast. Float planes have variable pitch propellers, meaning that the propeller blade can be angled so that it does not provide any forward movement at all, or even turned backwards so it pushes the airplane backwards a little bit. When the engines are started, or during run-up tests, the propeller pitch is set so that it does not provide any thrust. When flying, the propeller pitch is adjusted to provide differing levels of thrust for take-off, climb, cruise, or descent. As to your question about the "swimming circles" the answer is that the floats have deployable rudders that provide directional control of the aircraft when in the water. They should be retracted before take off as they can be damaged at high speed. They are linked to rudder peddles so you just use a little opposite rudder, if needed, when you have asymetrical thrust situation. The run up can be performed while "plowing." Plowing is a method of taxing a seaplane that produces a lot of water drag on the floats--basically its a tail low position. The pilot can further encourage this nose high attitude by applying full back pressure (up elevator). This accomplishes increasing drag on back of floats and keeping the nose as high in the air as possible, because water can do serious damage to a propeller at high RPM. "All checks are performed as the seaplane taxies, including the engine runup. Hold the elevator control all the way back throughout the runup to minimize spray around the propeller." Not the answer you're looking for? 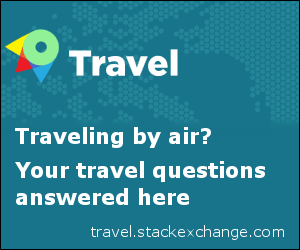 Browse other questions tagged braking preflight seaplane or ask your own question. How to slow down a seaplane on water? How do aircraft brake when using skis? Where can I find the various operating limitations of the ATR 72-500? Do flying boats carry anchors? Do landing planes brake with wheel-brakes or air-brakes or both? Why would seaplanes use a curved takeoff run? What brakes are used between line-up and takeoff? How do multiple-disc brakes work? Do parking brakes lock the wheels and airframe together? Are seaplanes allowed to taxi in residential areas? Why were the speed records set by seaplanes in the early thirties? Where is the landing distance for seaplanes specified? How much force are large aircraft brakes able to exert? Do any aircraft have liquid-cooled brakes?